MIDFIELDER Andre Rampersad is excited and willing to show that he can compete at the international level when he participates in the inaugural Canadian Premier League. The 23-year-old, from La Horquetta, is among four TT players who will join ex-TT defender and men’s assistant team coach Derek King at Halifax Wanderers FC. 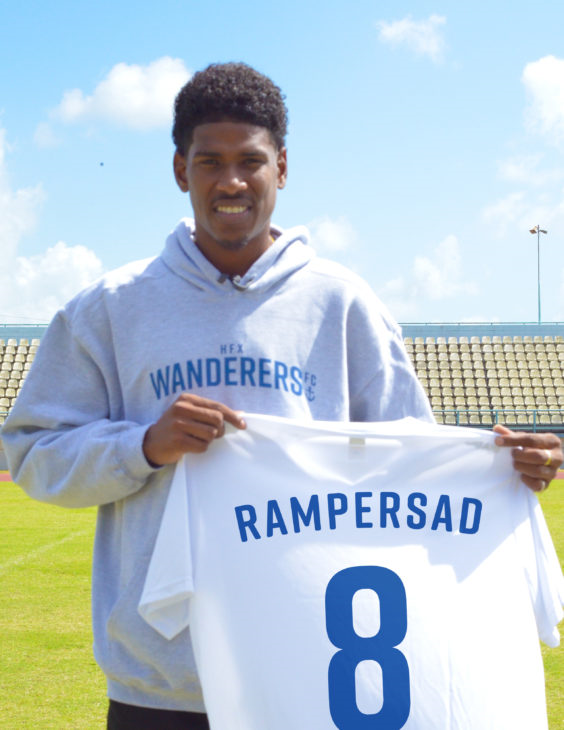 Rampersad, like fellow midfielder Akeem Garcia, moved to Halifax from FC Santa Rosa. Midfielder Elton John made the switch from San Juan Jabloteh. Goalkeeper Jan-Michael Williams joined Halifax as a free agent. Halifax will start their 2019 season with an away fixture against Pacific FC on April 28. Rampersad said his family is also excited about his career move. He is eager to prove his worth at the club, who has former national coach Stephen Hart at the helm. Reply to "Rampersad excited over Halifax opportunity "